Sam Surnow has his hands in $107 million worth of new development projects in Royal Oak and Birmingham and a real estate ownership and management company with a portfolio valued at $275 million. But about a year ago, it was about $3,000 that was bothering him. “What the hell is this?” the 29-year-old president of The Surnow Co. remembered thinking when he received a bill shortly after his dad, Jeff Surnow, the founder and owner of the company, was struck and killed by an on-duty police officer on March 1, 2015, while bicycling in Hawaii. The bill wasn’t for funeral expenses. Nor was it for repairs to one of his Birmingham-based company’s tenant spaces or anything else real estate-related. The charge: A replica of a 180-pound, 7.5-foot sailfish that Jeff, 63, had caught while vacationing with friends in Costa Rica in December 2014. 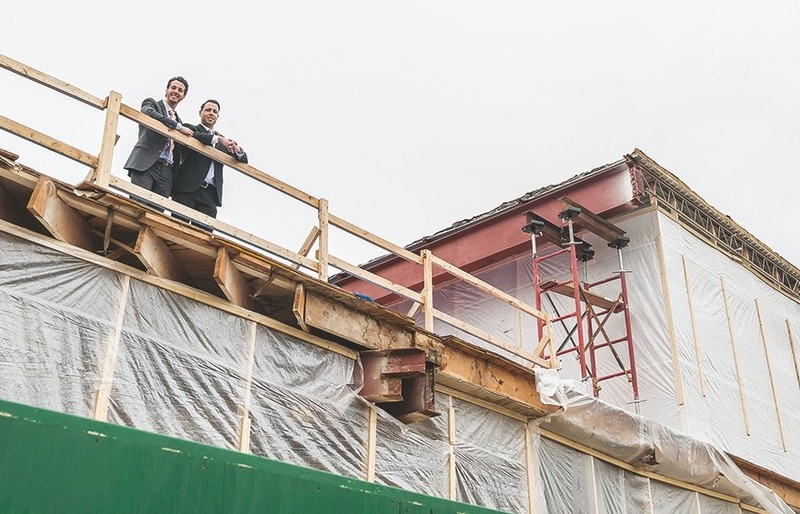 A year after Sam opened the bill in the same Martin Street office downtown in which his father worked, he and his 26-year-old brother, Max, are putting the finishing touches on a pair of key projects. Those are a new $100 million mixed-use development with city hall space for Royal Oak to be ready for occupancy in the first quarter of 2018, and a $7 million redevelopment in Birmingham of the David Wachler Sons jeweler building, expected to open with tenants including athletic retailer Gazelle Sports, in the third quarter. Those projects – started by Jeff but reeled back into the boat with Sam and Max’s help following the family patriarch’s death, which is still under investigation in Hawaii – were adrift when he died. But now the sons seemed to have worked out a number of kinks following the change in the family — and the family business.